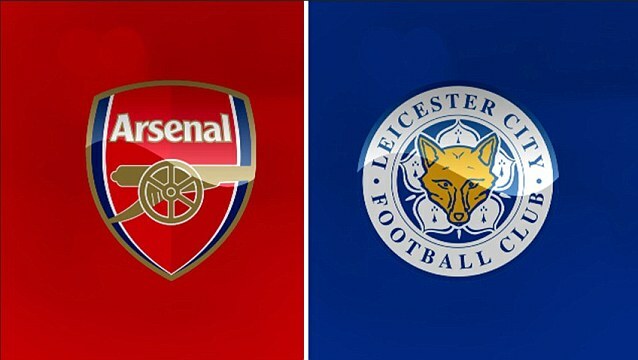 Tomorrow sees the surprise league leaders Leicester City visit The Emirates to take on third placed Arsenal. After despatching Liverpool and Manchester City emphatically in a week, it is the turn of the Gunners to see if they can bring the Foxes back down to earth. Seeing as Arsene Wenger’s men are one of only three sides to have meted out a defeat to Claudio Ranieri’s charges this term in the league, billing this match as a potential title decider may not be that wide of the mark. Consistency has been the one factor that has been missing since October for the Gunners, as Leicester went from strength to strength. As every football fan and pundit expected the Foxes to fall away, their stay at the top of the table only extended, as the Gunners, Manchester City et al struggled to find any discernible form. Now, we are thirteen games from the end of the season and Leicester sit five points clear at the top of the league from their nearest challengers – who are tottenham and the team they play tomorrow. Arsene Wenger spoke to the press yesterday and confirmed that Danny Welbeck – who has been injured for a month short of a year – is confirmed fit and only needs to acquire some modicum of match fitness to be able to feature. It is thought that this match may be a match too soon for the England striker but the FA Cup match next weekk may be the perfect runout for him. Wenger also spoke of Jack Wilshere and Santi Cazorla, stating that they are still a few weeks short of featuring but they will be back this season. These two players in particular are strong when transitioning defence to attack and with the unlucky Tomas Rosicky again injured mere minutes into his comeback, their set of skills will be in demand. Alexis Sanchez was the chief tormentor when these sides played earlier this season – the 5-2 win in hindsight looks far more impressive than when it first occurred – and the Chilean has been finding his feet in the last few games after his own injury problems. Sanchez will be marshalled by Robert Huth and Wes Morgan but that may create space for Mesut Ozil to expertly utilise. Will that be to lay chances on for Olivier Giroud or Theo Walcott however? On form, it can only be Olivier Giroud, as Walcott has recently struggled to find any semblance of the player he could be. This may have something to do with the fact he has been asked to fill in on the left hand side – which is not ideally suited to the England speedster – but could Walcott get a shot up front tomorrow? With the physical presence of Huth and Morgan in the centre of defence for Leicester, Olivier Giroud could be cancelled out. Perhaps Wenger may utilise Walcott as the perfect Plan B from the bench, as tired legs come into play. Another choice the Arsenal boss must make is who will play in the centre of midfield. Mathieu Flamini has been used lately but his lack of positional discipline is a constant worry for Gooners. Francis Coquelin is now able to be called upon though and his reassuring presence is the perfect balm to soothe Gooners fears. With Mohamed Elneny returning and Aaron Ramsey slowly rediscovering form, Arsenal have options to quell the rampant Kante and Drinkwater in the Foxes midfield. With Jamie Vardy residing on the shoulder of the last man, Gabriel must be the first choice to keep the England man quiet. 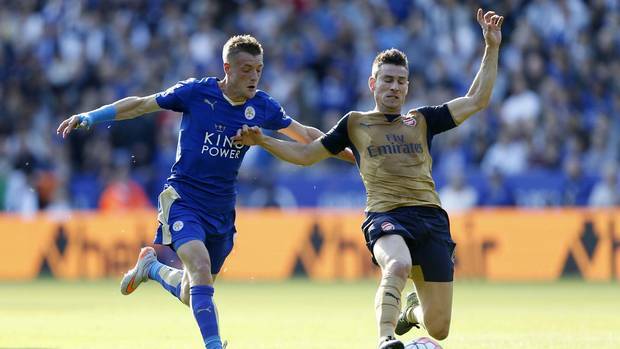 Vardy has named Laurent Koscielny as the toughest defender he has faced and with the Brazilian as his partner, this duo are able to answer any questions Leicester’s potent counter-attacking poses. Per Mertesacker has been outstanding and must still be the first choice to partner Koscielny, but with Leicester primarily using pace to great effect, the giant German must ride the bench. Arsenal must win. A draw and that gives a window of opportunity to Manchester City and tottenham, who also play on the same day. A loss is unthinkable. these are the games that the Gunners must win if they are to have any realistic aspirations toward the title. It is at The Emirates and Arsenal must finally find that top gear which they have been looking for. Arsenal 2 – 1 Leicester – The Welbeck Story!! !